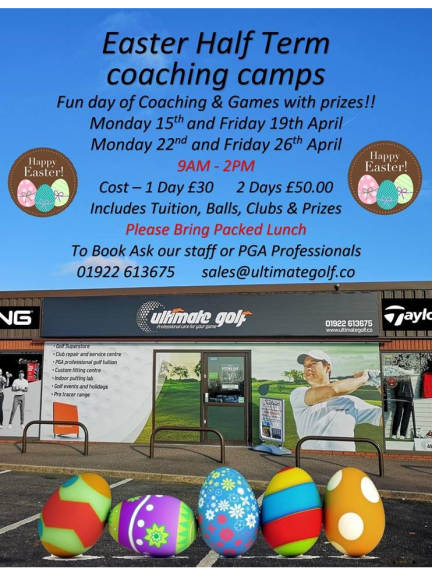 Easter Half Term Coaching Camps at Ultimate Golf! Join Ultimate Golf this Easter with their Coaching Camps! Includes tuition, balls, clubs and prizes!